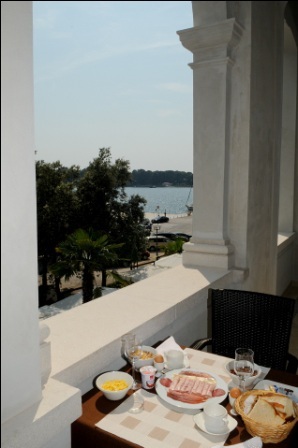 Hotel Mauro is ideally located on the harbour promenade in the heart of Porec. 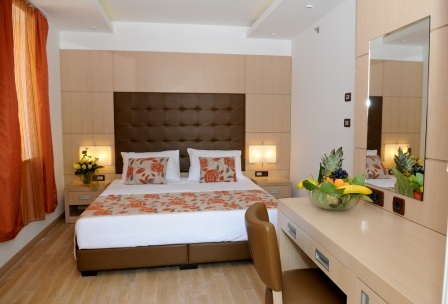 This new 4-star hotel is set in a historic building just at the entrance of the pedestrian zone in the old town centre; just a few blocks from the World Heritage listed Euphrasian Basilica. 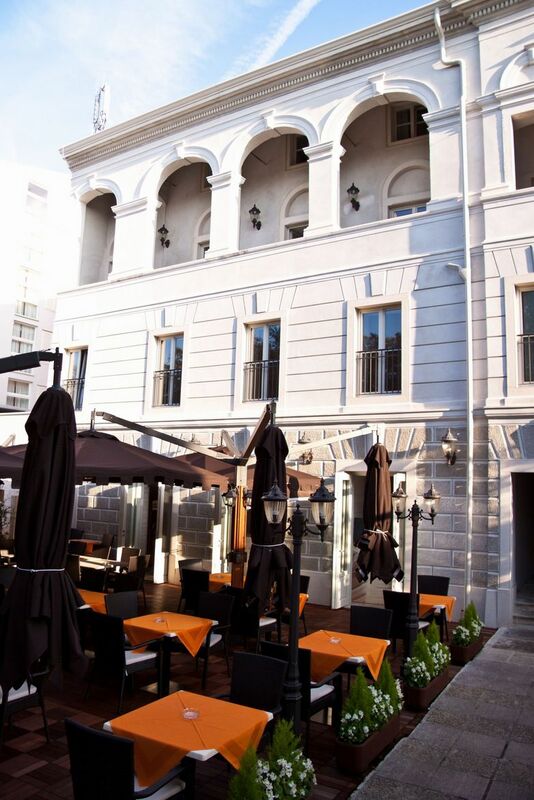 The front of the hotel offers beautiful views over the harbour, the bay and the island of St. Nicholas and the back of the hotel shows you the lovely cobbled streets of the old town. The old town of Porec is a living cultural monument, its foundations dating back to the Roman Empire, with so much to offer that it is impossible to get bored. Beautiful old squares, palaces, centuries old monuments and interesting museums, galleries are waiting to be discovered by you. 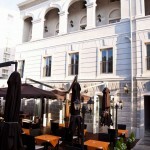 Cosy little restaurants, cafés, bars and nightclubs also contribute to the special atmosphere in the old town centre. The Porec riviera is well known for its many Blue Flag beaches. The island of St. Nicholas is just a five minute boat ride away and offers plenty of beautiful beaches. Just 1km south from the centre of Porec lies the Gradsko Kupaliste (City Beach), 1300m long stone paved beach. This Blue Flag beach has life guards, facilities for disabled visitors, (water)sport facilities, catering facilities and it is also home to a well known beach club called Colonia which is very popular amongst young people. Porec is also home to two beautiful lagoons; the Zelena Laguna and the Plava Laguna. These Blue Flag lagoons are surrounded with pine forests, located a few kilometres from Porec and can be reached via a special tourist train, bus or ferry boat. The lagoons are holiday resorts with plenty of facilities, well maintained beaches, but there are also many undisturbed natural rocky and pebbly beaches. 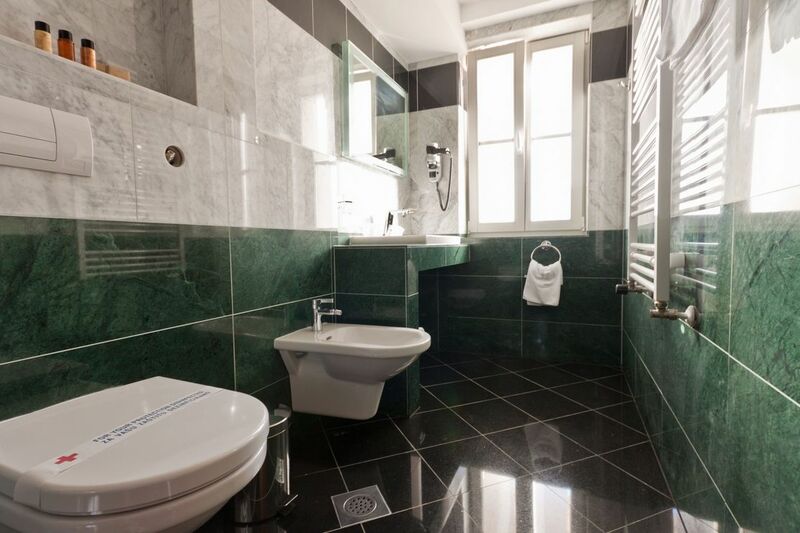 If you prefer to stay outside of the town centre, where it is a little quieter, then maybe Gastro-Pension Gargamelo will be more suitable for you. 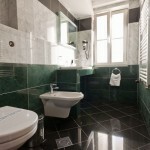 It is located 3km north from the town centre in a residential area of Porec. 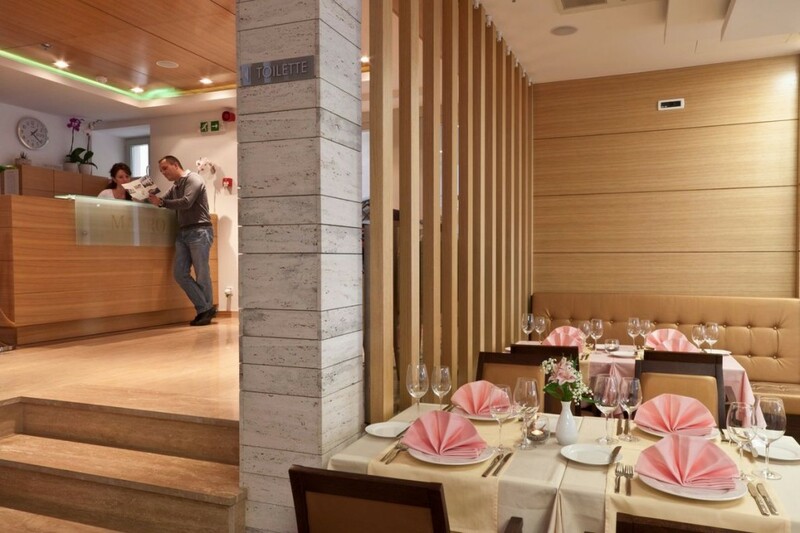 The luxury family hotel Mauro offers its guests 21 rooms with a contemporary and comfortable interior. 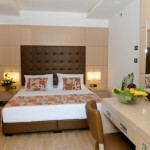 All rooms have a bathroom with bath or shower, hair dryer, bathrobe and slippers, a safe, mini bar, air conditioning and heating, satellite LCD TV, telephone, free wireless internet and 24 hour room service. There are rooms with and without a balcony. Hotel Mauro’s à la carte restaurant, with its lovely terrace, offers quality cuisine with international and traditional specialties. The hotel offers a lobby bar, 24 hour front desk, newsstand, elevator, laundry service (including ironing and shoe-shine service), ATM machine, free parking, packed lunches, bicycle rental, concierge service and shuttle service (at a surcharge).